Nyidron stirs the butter until it completely melts in the pot and then puts the dough inside to fry. She takes out the dough when it turns golden and crispy and sprinkles sugar over it. The final product is a delicious treat called Kasai, a traditional Tibetan pastry for the New Year. 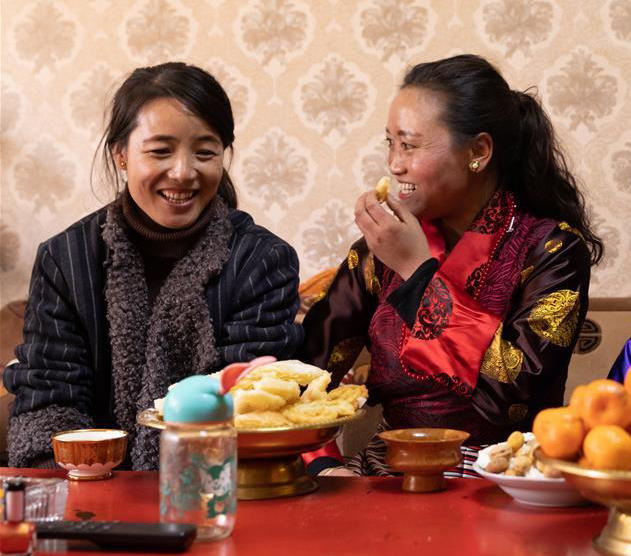 A local resident in Lhasa, Tibet, Nyidron makes the delicious food for her family every year, but the difference is that the butter she used this year was produced in Shenzhen, a city thousands of kilometers away on the southern coast of China. 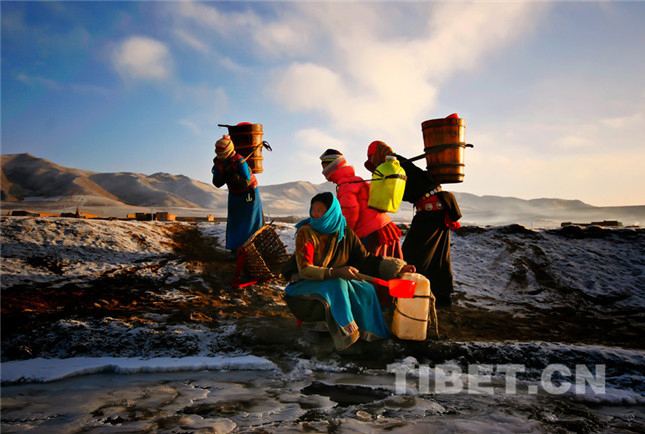 As a daily necessity for Tibetans, butter is used to make tea and various types of food. 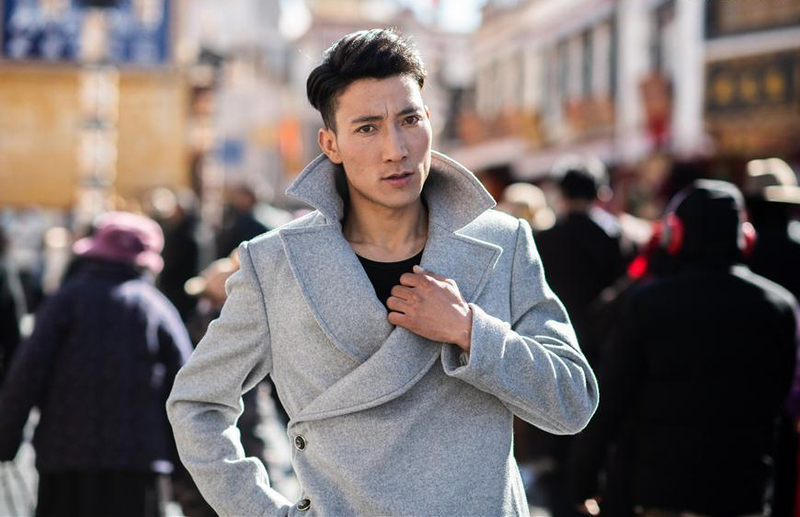 It is especially in high demand on the eve of the Tibetan New Year, which coincides with the Spring Festival this year on Feb. 5. 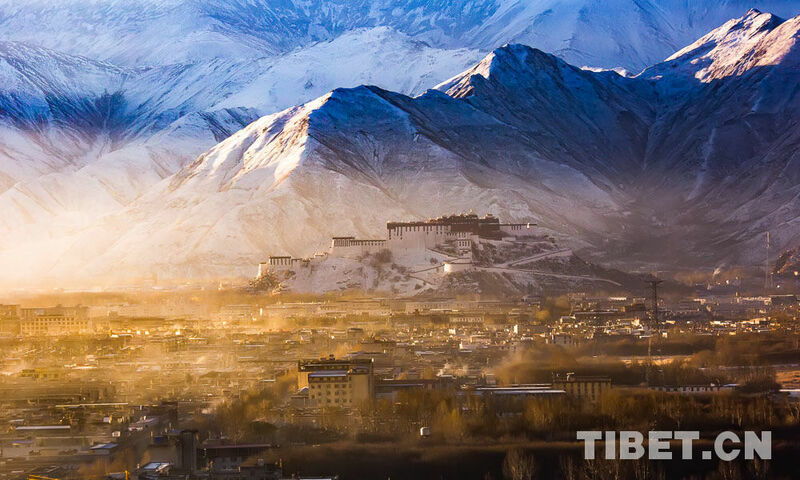 During winter months, the high-altitude region of Tibet is usually covered with snow, and its oxygen content drops. Winter supplies including rice, vegetables and frozen dumplings have been transported to the region from other places in the country. On Jan. 19, Yang Yulei and Wang Gang boarded the butter-carrying train. Different from other trains disembarking from Shenzhen that are filled to the brim with passengers traveling for the New Year, Wang and Yang are among a few passengers on the train. It is a long and arduous journey. The entire trip takes days to complete, with the train climbing as high as 5,000 meters above sea level up the snowy mountains of Tibet. Tibet-bound refrigerator train service was started in September 2015 by the Guangzhou branch of China Railway Special Cargo Services Co, Ltd. Each time the company would lock its refrigerator carriages to freight trains heading to Tibet. 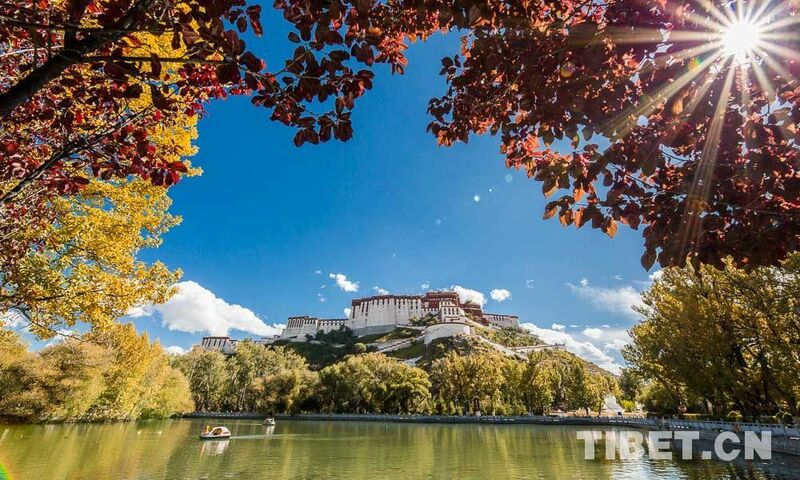 At the end of 2018, a total of 57,358 tonnes of cargoes have been sent to Tibet. For captain Yang who has been working at the refrigerator carriages since 2015, the greatest challenges he encounters on the train are the freezing temperatures and low oxygen environment. Besides feeling sick due to the lack of oxygen, it is also hard to cook meals well as the boiling point is lower on the plateau, he explained. "We also have to check the facilities about every half an hour in case of any breakdowns," he said. On Jan. 27, the freight train arrived at its destination in Lhasa with 184 tonnes of fresh butter. Wang Cong is the local agent for Shenzhen Jinli vegetable butter. The newly arrived butter is the fourth batch of goods he received since the beginning of January. "We sold out 3,200 tonnes of butter in 2018, and the sales volume is expected to grow 10 percent this year," he said, adding that the butter is being sold to places including Lhasa, Nagchu, Ngari and Shigatse. Lhaba Cering, deputy head of Tibet cooking association, said butter from outside the region has been an important supplement to the local butter market. The inflow of supplies is made possible by the rapidly developing transportation infrastructure of Tibet. As of the end of 2018, the total length of roads in the region exceeded 90,000 km. The Qinghai-Tibet Railway, spanning 1,956 km from Xining in the neighboring province of Qinghai to Lhasa, was opened in 2006, linking Tibet and the rest of the country. 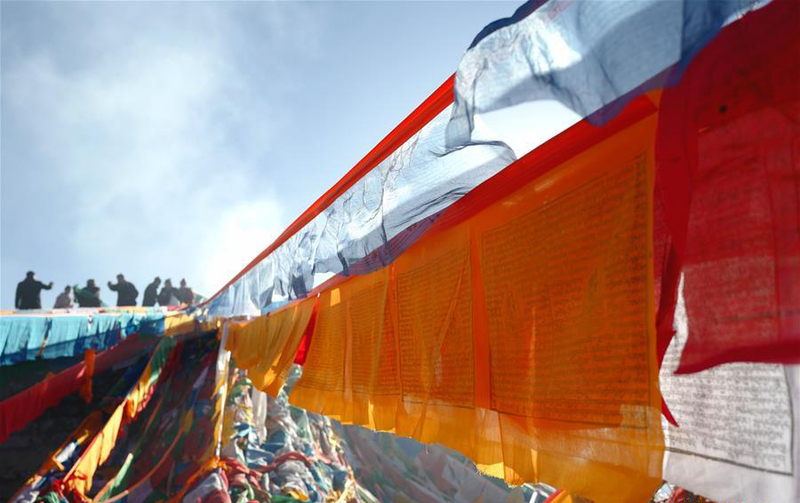 More than 48.4 million tonnes of goods have been sent through this route to Tibet. Southseas Oils & Fats Industrial (Chiwan) Limited has been exploring the Tibetan butter market since 1998. Before the building of the railway, the company relied on trucks for transport. Zhang Wei, a transportation staff with the company, said that compared to trucks, rail transportation is lower in cost, higher in loading capacity and is much safer. "The refrigerator train could help save 200 yuan (about 30 U. S. dollars) to 300 yuan per tonne compared to trucks," he said. More convenience is expected in the future. The railway connecting Tibet with Sichuan province is under construction. 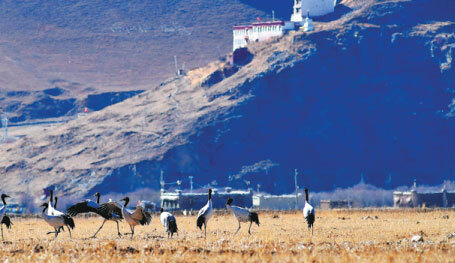 The country is also planning to build a railway between Tibet and Yunnan province. More advanced refrigerator train carriages with intelligent remote temperature controls will be put into use in the near future, according to China Railway Special Cargo Services Co, Ltd.
Yang Yulei is looking forward to that change. "Our carriages can reach any place as long as there is a railway." 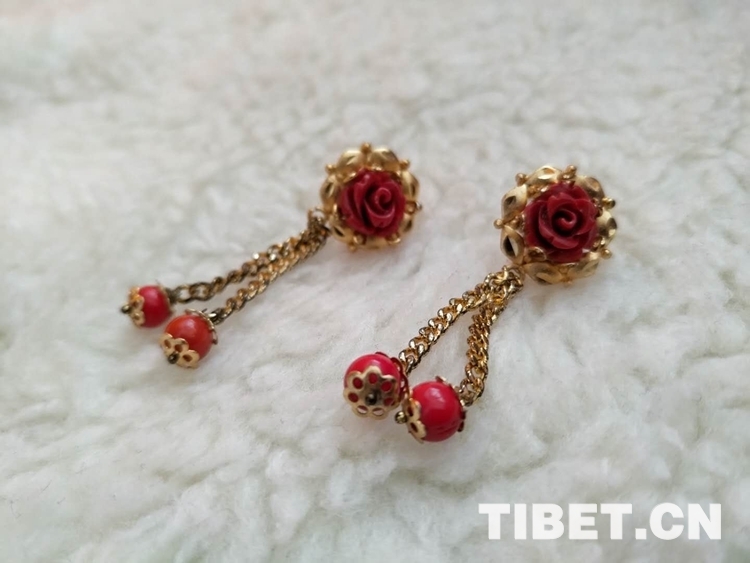 Tibetan jewelry has quietly changed along with the development of times.